Having failed spectacularly to make a success of my first three career choices: biology, banking and business, I feel certain that I will strike job-satisfaction gold with my fourth and final attempt to exploit my true talents: as a bum. Setting out to be a successful bum has several advantages over more aspirational life trajectories. Expectations are low, so it is difficult to disappoint either one’s friends or oneself. Success is hard to measure, so can easily be fudged. Indeed, success virtually counts as failure, in the life of a bum. Bums celebrate defeat in the manner that other people party with gay abandon, after winning the lottery. Almost by definition, the most successful bums are total losers. What could be more perfect? Many bums spend most of their time watching daytime television or drinking meths and I’m not saying that these occupations don’t have their attractions. But I’ve lost the remote control for my TV and red wine has always been my poison of choice. So what to do next? Hmmm. I’m sure you’ll agree, it’s a difficult one. The idea came to me while trying to choose between buying a box set of ‘Desperate Housewives’ or committing suicide. Death was clearly the more rational choice, but that only begged the question: how? Death would get a far better press, were it not for the need to die, in order to achieve that happy state. So the problem resolved itself into dreaming up a good way of dying: slowly; painlessly; suddenly, when the moment comes and, ideally, while having more fun than watching box sets. An old friend once told me that, in Baku, the brothels offer buy-one-get-one-free deals and I wondered, fleetingly, whether taking advantage of such an offer might not be an ideal way to expire. But the heart is a temperamental organ and cannot be relied upon to cease beating at the apposite instant. Besides which, I’m in a stable, happy relationship. Then I made the fatal mistake of pulling off the bookshelf my copy of Aaron Davis’s monograph of the genus Galanthus and looking at the maps. Wouldn’t it be fun, I thought to myself, to see every species of Galanthus, in the wild? This would simultaneously solve the painless-death-wish problem (for Galanthus seem to grow especially prolifically in war zones) and the box-set-ennui issue. My brain is the sort of substrate through which irresponsible ideas propagate like a naked flame in a firework factory. Bonfire night happened inside my head, which was pretty messed up already. And so was born, in a fiery mental maelstrom, the idea of trying to see and photograph all of the 21 described snowdrop species, in a single autumn and spring season. And perhaps find some new ones – for they are surely out there. Revolution Snowdrops is the name I’ve chosen, under which to write about these adventures. As some of you know, my nursery, Evolution Plants, didn’t work out quite as I’d hoped it would. ‘Phoenix’ was already taken. Besides which, I’ve had quite enough of ashes for the time being. Also, I’ve thought for a long time that a revolution in horticulture is overdue. I’ll be peddling, on these pages, the idea that we should be rethinking what our gardens are for. Everyone with a patch of land, or a window box, can have a miniature botanic garden. Or grow marrows. Your choice. I hope that there will be some entertaining stories to tell over the coming months. Misadventures will abound. Mistakes will be made. Politically incorrect diatribes will flow from my fingertips. Alcohol will be consumed in vast quantities, possibly even in countries where it’s not strictly legal. There may be executions, but I make no promises. Implausible numbers of good meals will be engulfed, digested and reported upon. Evolution Plants is sold to a lovely young couple, who will turn it into the sort of nursery I ought to have founded. I leave the country on 17 October, with a song in my heart, fewer regrets than Edith Piaf had and the smell of the long, dusty road ahead in my nostrils. I shall return, Insha’Allah, some time in May 2016, having attempted – and no doubt failed, but at least failed while trying – to see every snowdrop species on the planet. 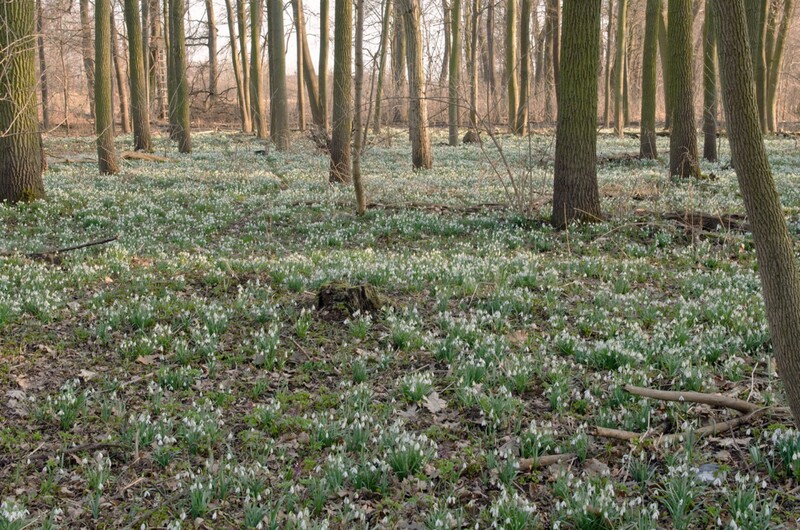 * If you need me to explain why seeing Galanthus transcaucasicus flowering in the wild would be marvellous, Revolution Snowdrops is probably not a blog you’ll want to follow. Try this one instead: https://www.facebook.com/rihanna.